Sandra Begay-Campbell leads Sandia National Laboratories technical efforts to help Native American tribes with renewable energy projects. Sandra Begay-Campbell, principal member of the technical staff at Sandia Labs National Laboratories, leads the panel discussion on climate, energy and the future of the planet. The discussion will focus on solar and renewable energy, climate change, and policy. Dantrell Cotton, a graduate student in Community and Environmental Sociology and Environmental Studies, will serve as panel facilitator. 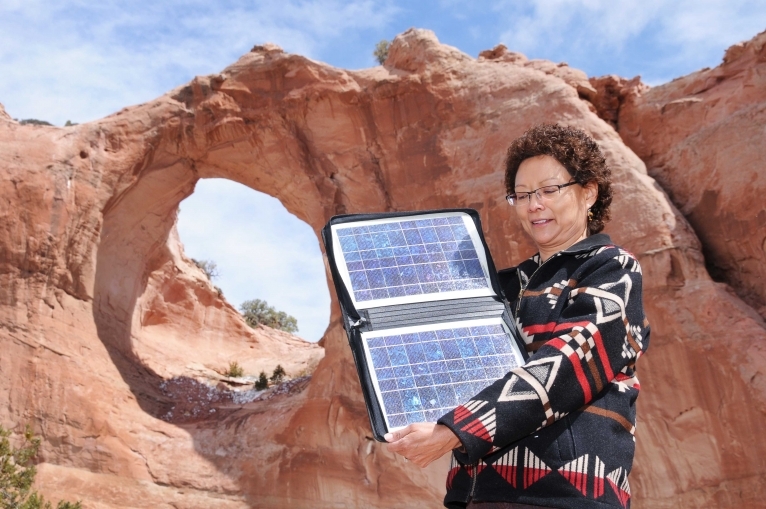 Begay-Campbell leads the Sandia National Laboratories efforts to help Native American tribes with their renewable energy projects. She earned her master of science degree in structural engineering from Stanford University and received the American Indian Science and Engineering Society’s Lifetime Achievement Award and Stanford’s 2000 Multicultural Alumni of the Year Award.